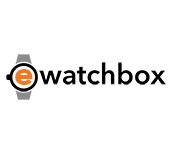 Boxy Fancy Brick Orange Add-On Single Watch Winder. Named “the Brick” because it stacks like a brick. The BOXY Fancy Brick Single Watch Winder is designed to be powered by only one power cord (plugged into the tray). The style and power functions make this winder truly unique. As each unit is stacked on top, or to the side, the electric current flows through using a truly unique connectivity system that is 100% safe. This configuration can be used to power up to 12 bricks!